New Movie Trailer for Rise of the Guardians. Chris Pine, Alec Baldwin and Hugh Jackman voice the animated characters in the adaptation of William Joyce’s children’s book Guardians of Childhood. 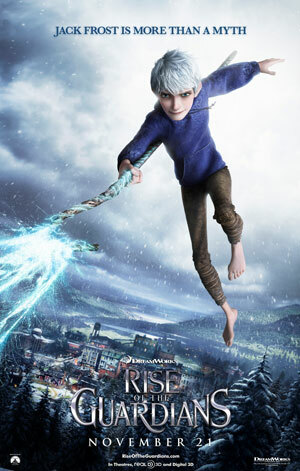 See the movie trailer for Rise of the Guardians below. In the movie, when an evil spirit hatches a plot to take over the world, the immortal Guardians join forces to protect the hopes, beliefs, and imagination of children all over the world. MPAA Rating: (PG) for thematic elements and some mildly scary action.